Like a majority of casino games, keno is a game of luck. While many people try and apply certain strategies, there is ultimately nothing a player can do to alter the outcome of the game. Winning numbers are drawn completely at random, whether by a croupier when playing in real life, or online using Random Number Generators (RNG). When it comes to games based on pure luck, the odds of winning are usually pretty low and keno is no exception. It’s been estimated the chances of taking out a jackpot in keno are about the same as winning your state lottery, but that doesn’t mean there isn’t some serious money to be won in keno. The only real skill needed to play online Keno is knowing where to play and how many numbers to pick – the rest is up to the God’s of fate. When betting with real money, it’s important to understand the house edge in keno is incredibly high and the chances of taking out the big jackpots are indeed difficult, and patience and luck is required. In saying that, odds of hitting a few numbers are relatively good, so as long as you play online keno with this understanding and enjoy it for the exciting game it is, keno will be a lot of fun – just don’t expect to get rich quick. Play online keno for free or real money wagers at trusted sites like Royal Vegas Casino, Casino Mate and G’Day Casino and take advantage of tasty welcome bonuses to boost your chances of taking home a win. Deposits and withdrawals are available using a range of secure payment methods in Australian currency. Before playing any online casino game it’s always useful to have an understanding of the odds and the house edge so you know your chances of taking a loss when placing a real money bet. 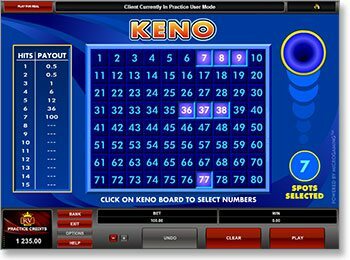 Keno is a lottery style game which works by players selecting up to 20 numbers from 1 to 80, with 20 numbers then drawn at random. 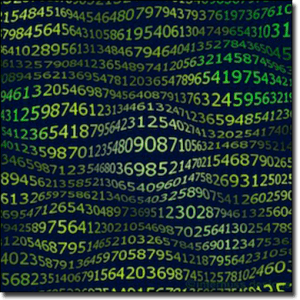 The more numbers drawn matching the numbers chosen by the player, the more money is won. Despite arguments trying to prove otherwise, the truth of keno is each number has an equal one in 80 chance of being drawn. Because there are so many numbers involved in keno, the odds are pretty steep. Chances of getting all 20 numbers has been rendered virtually impossible, with the incomprehensible odds of a 20/20 jackpot being 1 in 3.5 quintillion. There is no record of an online keno player ever hitting all 20 numbers. Depending on where you play, the house edge in keno can range from 4% to over 35%, making it the highest house edge you will find in online gambling. The house edge varies in keno because different casinos have different versions of the game, with some casinos allowing players to choose a minimum of one number, while others require a minimum of four. The average house edge has been calculated around 30%, making keno a highly volatile game. While online keno follows exactly the same rules as live keno, online offers more convenience as players can enjoy this exciting game from the comfort of their own homes or on the go. Online keno works differently to live keno in that the numbers are drawn by RNG’s which some punters can be a little sceptical about, but players at our recommended online casinos can rest assured the RNG’s used are 100% legitimate. Using the latest in innovative software technology, the leading keno RNG’s guarantee numbers stand an equal chance of being drawn as balls drawn from a hopper in real life keno. In online keno, the RNG produces thousands of results every second. When a keno number is drawn, the RNG works by producing the number that resulted as of that split second, and then matching said number against one of the 20 chosen spots for the corresponding number in the Keno sequence. With such a huge number of potential outcomes, keno RNG works at lightning speed to produce instant results. For the best online keno odds and high-quality gameplay, sign up for an account at www.GDayCasino.com and redeem up to $1200 worth of welcome bonuses.